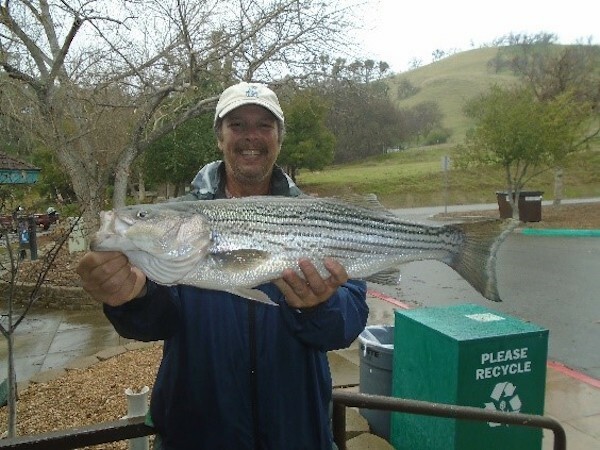 Our fish of the week is a 7.5-pound striper caught by Antony M. of Livermore, CA on a robo worm in the lower narrows. The water temperature out here at Lake Del Valle has dropped on average to a chilly 46 degrees in the mornings making trout the target fish out here. The lake levels has risen immensely in the last two weeks because of the rainstorms and the water is finally starting to clear up, the bite will pick up after a week of the water being that hated brown muddy color. 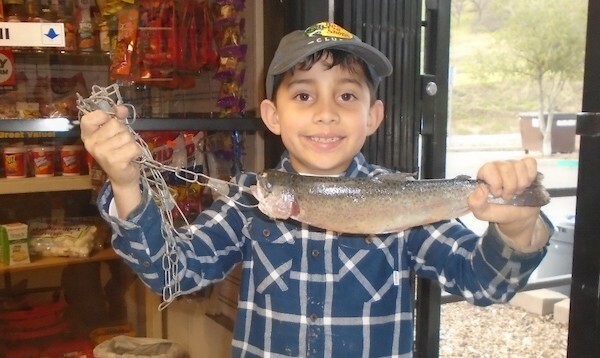 The trout are still being caught in the muck although it is mostly on Power Bait or nightcrawler bait wise, lure wise the Kastmasters that are 1/8 or smaller work very well as the water clears up shad imitations will continue to increase in reliability. Most of the trout this week have been caught either out on the far end of the lake by the dam, or in the swallow bay area of the lake so the mobility of a boat is quite necessary to find the clear water. 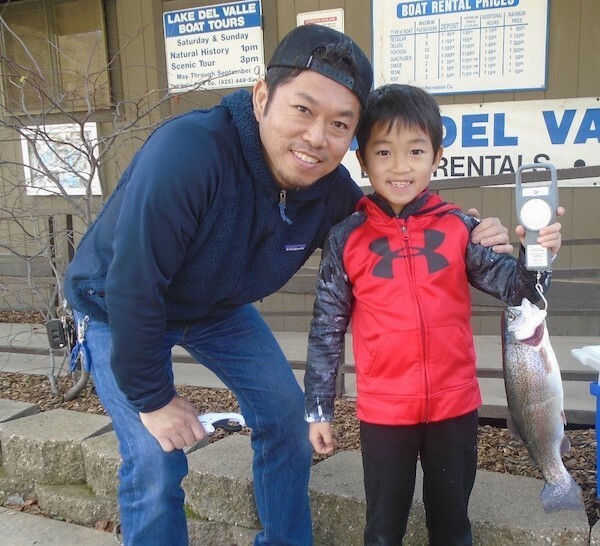 The marina area of the lake is also a great bet to pick up trout as the water clears up lately though, it has been slow because of the murky water. The large and small mouth bass are starting to pick up in activity even with the cold water, working nightcrawler slowly or Senkos is the only way one can get the bass to bite, slow as possible, or you can work a spinner as slow as possible by bouncing it and leaving up to 30 second intervals. 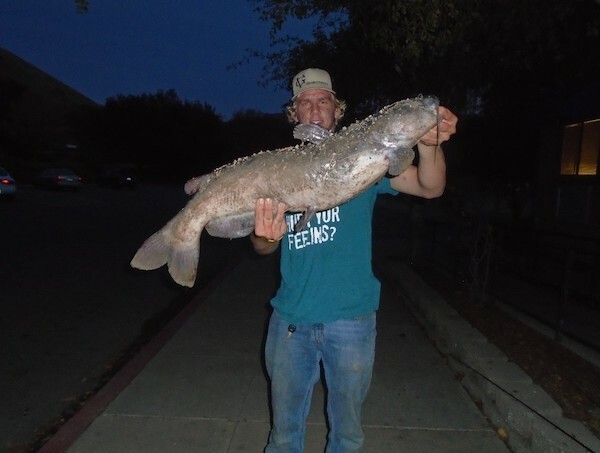 The catfish bite is still on fire with anchovies or nightcrawler being the best bait to use out here because of the muddy water, the catfish hunt mostly by scent so, when the water murky, they really come out to hunt since they have an advantage over theirnprey. 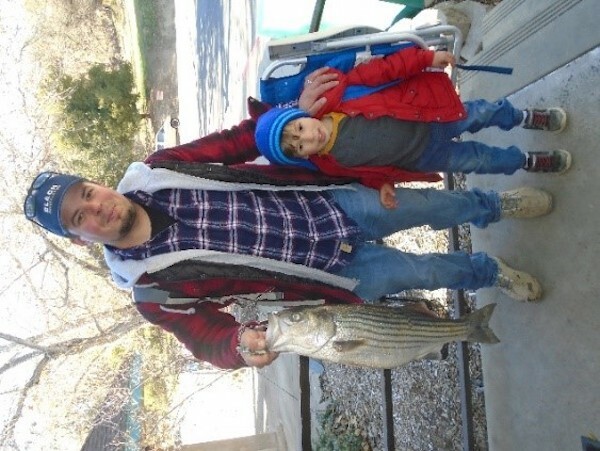 The Striped Bass are chasing the trout mostly the planted trout around the marina area, most people are catching the stripers when they are fishing for trout so be carful when you are trout fishing you may get surprised.